What Does Inclusive Economic Development Look Like? 1. Be more than a developer of places. You will have to be a developer of communities. 2. Instead of revitalizing only buildings, you must also revitalize relationships. 3. With no economic momentum in the community, if you want to sail, you will have to bring your own wind. In terms of tactics and strategy, the community economic development toolkit that they advocate employing contains four elements: 1) partnerships, 2) community wealth building strategies, 3) blending of multiple strategies (which they call “hybridizing”) and 4) self-sustaining strategies. As for building community wealth, the key, Fortunato and Balfour explain, is to “enhance community involvement and defray risk.” For example, cooperatives are beneficial because they bring about “many owners, less risk.” Part of the reason for the lower risk, they add, is that “Co-op businesses draw their membership directly from the community, providing a loyal customer base.” An example of this is the craft brewing co-op of Ronan, Montana that NPQ profiled this past January. 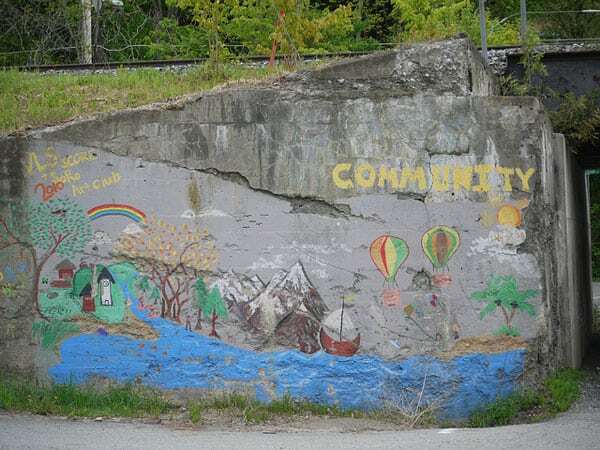 Other forms of community wealth building they mention include community land trusts, commons area preservation, and community-supported agriculture.